This class is a few steps from mom and a great stepping stone for independence. Classes focus on following direction, listening skills, body awareness, motor skills, rhythm, coordination, balance, and imagination. We believe in repetition, creativity, and a positive and encouraging learning environment. Class meets once a week for 30 minutes. This class focuses on creative expression, pre-ballet and basic tap. Classes are designed to introduce basic steps, vocabulary, creative movements and styles. Class may include tumbling and/or mat work. Class meets once a week for 45 minutes. These classes introduce a strong foundation in ballet. Classes continue to build on following direction, listening skills, body awareness, motor skills, rhythm, coordination, balance and imagination. Students learn basic steps with terminology and work on proper body placement. 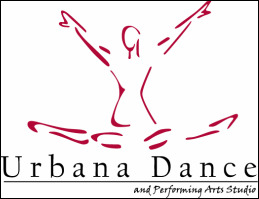 Emphasis is placed on proper ballet technique and a positive learning environment through encouragement and repetitive choreography and creative center work. Students learn pre-ballet, beginner tap skills, and creative movement. Classes may include some tumbling and/or the use of mats. Class meets once a week for 45 minutes. This class introduces fundamental principles of ballet and will progress slowly and carefully. Positions of the feet and arms, proper posture, placement and body alignment are introduced. Students learn age appropriate warm ups and stretches. Center work includes basic locomotor kills such as skipping, hopping, jumping and leaping. Pre-Ballet I meets once a week for 45 minutes. Pre-Ballet I meets once a week for 45 minutes. Pre-Ballet II meets once a week for 60 minutes. This class provides the beginning of formal training, taught slowly and carefully with emphasis on proper posture, placement and body alignment. Students learn age appropriate warm ups and stretches, fundamental barre work and terminology including plie, battement, rond de jambe, port de bras, eleve, and the concept and proper use of turn-out. Center work includes basic locomotor skills such as skipping, hopping, jumping and leaping. Class meets once a week for one hour. This class is designed to accommodate both continuing and new students. Beginning ballet fundamentals and terminology are expanded and include movement combinations to develop memory skills. Formalized center work includes preparation for pirouettes, petit and grand allegro. Class meets once a week for one hour. This class will develop and secure muscle memory, understanding of movement theory and a firm foundation of the seven movements of dance. Memorization of combinations and musicality are further developed and include coordination of head, arm, and full body movements. Barre work now also includes fondu, frappe, rond de jambe en l’air and developpes. Center work includes adagio, petit allegro combinations and pirouettes from the corner. Class meets twice a week for 1-1/4 hour. Growth of the ballet vocabulary continues as combinations become longer to develop memorization and stamina. Sustained adagios en l’air, double pirouettes and allegro batterie become the standard. Fouettes are introduced. Continued work on core strength to stabilize balances and demi-pointe work are continued with an emphasis on pre-pointe readiness. Class meets twice a week for 1-1/2 hours. Enrollment in LET and PrePointe is strongly recommended. Vocabulary continues as combinations become longer. Sustained adagios enl'air, double pirouettes and allegro batterie become the standard. Fouttes introduced. Core strength and demi-pointe. Emphasis on pre-point readiness. This class emphasis is the perfection of technique in preparation for more arduous work at the advanced levels. Understanding of anatomy, muscular development and coordinated practice of full body movement with port de bras and sustained poses are obtained. Students must be able to execute all work at this juncture safely and correctly before advancing. Class meets twice a week for 1-1/2 hours. Enrollment in LET and PrePointe/Pointe is strongly recommended. This class is required to begin pointe training when taken with a ballet technique class meeting twice a week. Foot and ankle strength and proper alignment are stressed for students to safely begin pointe work. Students work in flat shoes until approved for pointe shoes. Class meets once a week for one hour. Dancing on pointe is the act of standing on the tips of the toes while performing steps from ballet. It is performed using hard toed and stiff shanked pointe shoes. Dancing on pointe requires strength and skill. Prior permission from the instructor is required. Class meets once a week for one hour. These classes work on proper preparations, placements, and spotting for successful turns. Class is offered in Mini Season sessions I and II. These classes focus on basic body isolations of the head, shoulders, ribcage, feet and arms, and will layer jazz style over the traditional technique of ballet. Students maser basic jazz steps including kick ball change, step ball change, and jazz runs. Classes are high energy and progress with warm-up, floor crossings, and combinations. Emphasis is placed on developing coordination, rhythmic awareness, individual expression, and flexibility. The jazz program is taught with a strong ballet base for a solid dance foundation. Class meets once a week for one hour. These classes incorporate many styles such as Fosse, Lyrical, Character, and Theatre, to name a few. Classes work on technical skills in the center and progression work. Emphasis is on flexibility, control, conditioning, and incorporating ballet techniques with extensions, leaps, and turns. Choreographed warm-ups and routines challenge student’s ability to conform. Class time includes warm-up, across the floor, and technique, ending with choreography. Some classes utilize lyrical movements to sharpen student’s technical skills. Class meets once a week for one hour. This class puts an emphasis on ballet and jazz technique. Students continue to build a solid foundation and a solid center frame of the body through rigorous workouts with emphasis on stretch, flexibility, and control. Class incorporates turns, leaps, jumps, extensions, and improving ones flexibility. Classes explore each dancer’s potential. Across the floor combinations and center choreography will be taught to encourage utilization of proper technique. Class meets once a week for one hour. Modern explores a full range of movement for the torso including contractions and spirals. This class will start with a full body warm up on the floor and progress through standing movements and traveling steps. Technique will draw mostly from modern dance pioneers Martha Graham and Jose Limon. Modern dance evolved after ballet and introduced new body shapes and movement textures capable of expressing a wide range of human emotion; seeking not only beautiful lines, but powerful and poignant physical expressions that sometimes may break conventional aesthetic laws. Class meets once a week for one hour. Students learn basic foundation for tap vocabulary through playful and creative teaching strategies. Emphasis is placed on proper body placement, positioning, weight shifts, clarity of tap sounds, rhythms, and covers times steps, progressive foot work, and various rhythms and styles. Class meets once a week for one hour. Through sheer fun of movement, this class involves body isolation, strength and coordination while focusing on the latest dance moves of today. Class meets once a week for one hour. Using everything from today’s Hip-Hop, R&B, and Old School, this class covers original elements of Hip-Hop such as locking, popping and footwork. The class focuses on building technical skills, freestyle ability, and mastering hip-hop choreography. Students are challenged to improve their coordination, musicality, and groove. Class meets once a week for one hour.